I wish I could have a piece right now! I had a craving for banana chocolate chip muffins the other day and baked a recipe from King Arthur flour which was actually delicious. (I wanted to use whole wheat flour so I could pretend they were highly nutritious!) I will try these, they sound delicious! 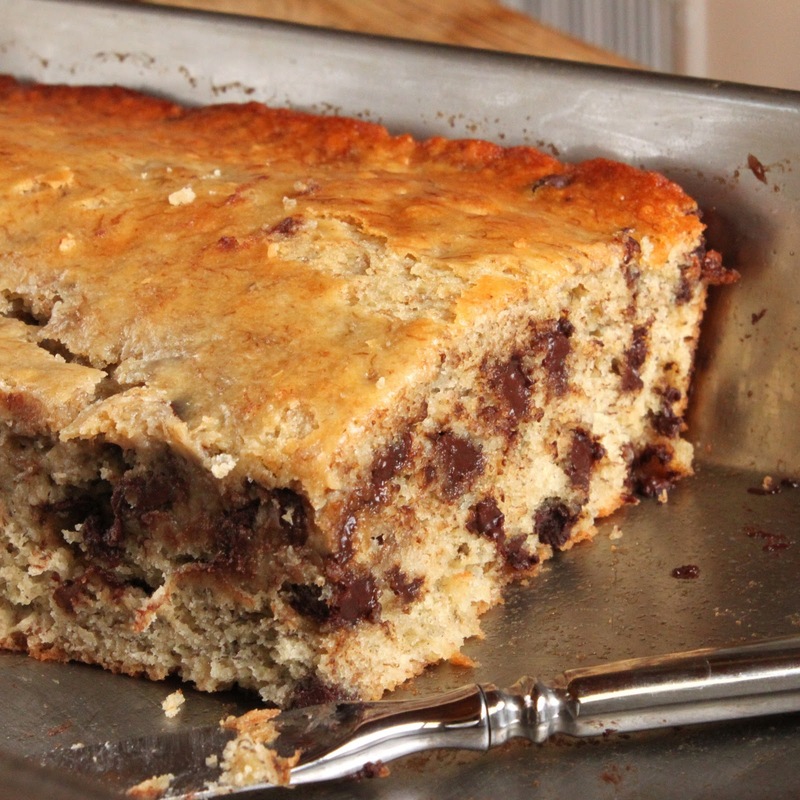 Doesn't yogurt do amazing things in banana bread? I started using it a few months ago, and I love the difference. This sounds like a recipe that has long been close to your heart...which means I want to try it in the very near future. Thanks for sharing, Erika. As always, you brighten my day. I have a very old banana bread recipe that uses buttermilk and soda along with the bananas and pecans. I have to say, though, the addition of chocolate chips to the batter - genius! 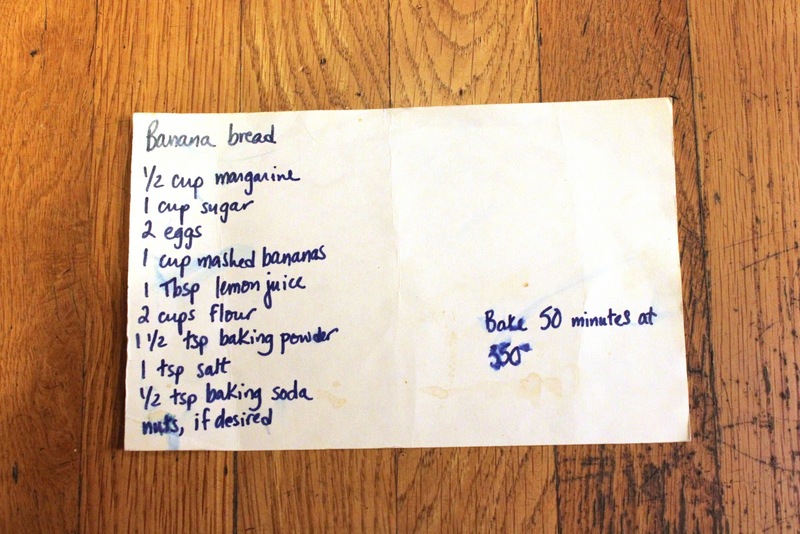 Definitely going to add some next time I bake banana bread. That looks absolutely yummy! Congratulations on the blog of note! my favorite cake. Simple and delicious recipe. I will try to bake it. OMG. That sounds so yummy! What could I use ILO the yogurt? @Queen - you could double the butter instead of the yogurt, if you prefer, and also add 1 Tbsp lemon juice. I use the yogurt as a way to cut down on the fat, but if you'd rather have the butter, go right ahead. You could probably also substitute 1/2 cup applesauce, but then you'd have to take out some of the sugar to keep it from being too sweet. And if it's an issue with dairy products, try plain soy yogurt. I've found that soy yogurt works just fine for baking. Hope that helps - try it and let me know what you think! Bananas and chocolate chips...my favorite two food groups. Great looking cake! Just pump it directly into my veins. Looks goods. First time to your site. Congrats on the Blog of Note. Well deserved. I think I can smell that cake. My mom makes the most amazing banana bread and it's one of those recipes that I took with me when I moved to Boston and I can't get enough of it. Great recipe! @Richsistah - thank you for telling me about the Blog of Note thing, because I had no idea until I saw your comment. I am thrilled! And welcome to all you new readers who are visiting for the first time. I am honored and delighted to see you and hope you find lots of interesting recipes to keep you busy in your kitchens. Hugs and kisses all around! Looks delicious! I can't wait to try your recipe:) we love banana breads and I have some ripe bananas ready to go! This looks so scrumptious! I'm going to prepare this for my fiancé! hihi. oh lord have mercy that sounds good. Thinking about all the handwritten recipes in the world that will be lost to the electronic age. Congratulations on the well deserved Blog of Note! That looks absolutely delicious. I'll have to make this someday. 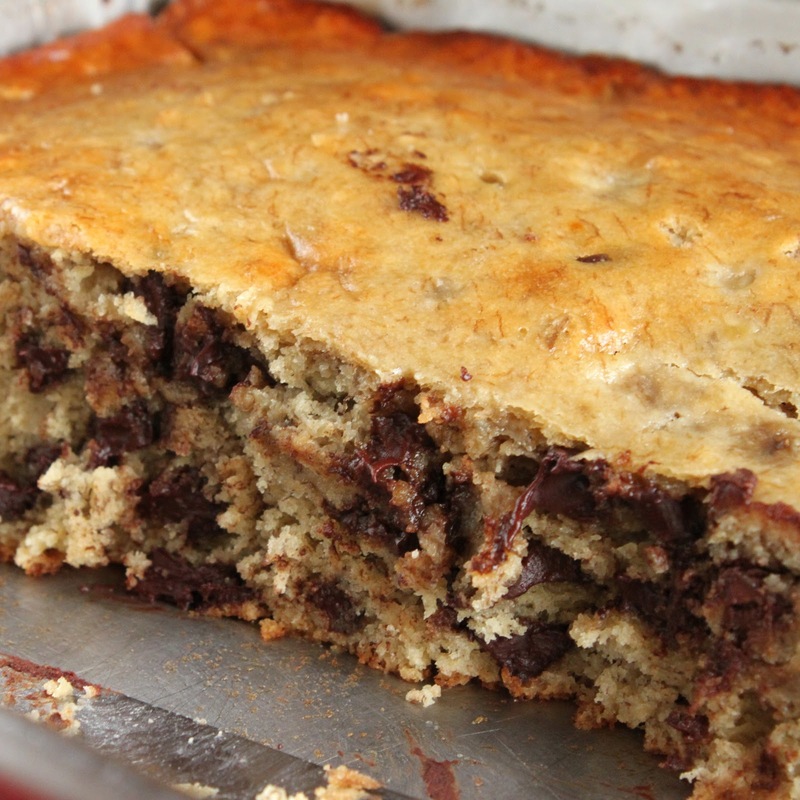 you had me at banana chocolate chip cake!! What a deliciously beautiful blog! Congrats on being a "Blog Of Note!" I had the honor on Oct 5, 2010...isn't it fun?! I am now a subscriber to your blog and happy to be! Thank you everyone for all the nice compliments. I just did a little dance. My husband thinks I'm nuts but is smiling right along. @Holyoke I have thought exactly the same thing about the loss of handwritten recipes. I'm trying to take photos of them whenever I think of it. I have photocopies of my grandmother's recipe cards - seeing her handwriting makes me cry every single time. @Caren Congrats to you too - love all your kitty cat photos! Yum, yum! I liked seeing your handwritten index card and reading of the memories it invoked. This cake has good vibes, that's for sure. Also, I could maybe count it as a fruit instead of a pastry...Thanks! This is my girlfriend's favourite type of cake! Banana chocolate cake is the best! What I love about Banana chocolate cake is its texture. I add walnuts in mine so I could get that crunchy texture.